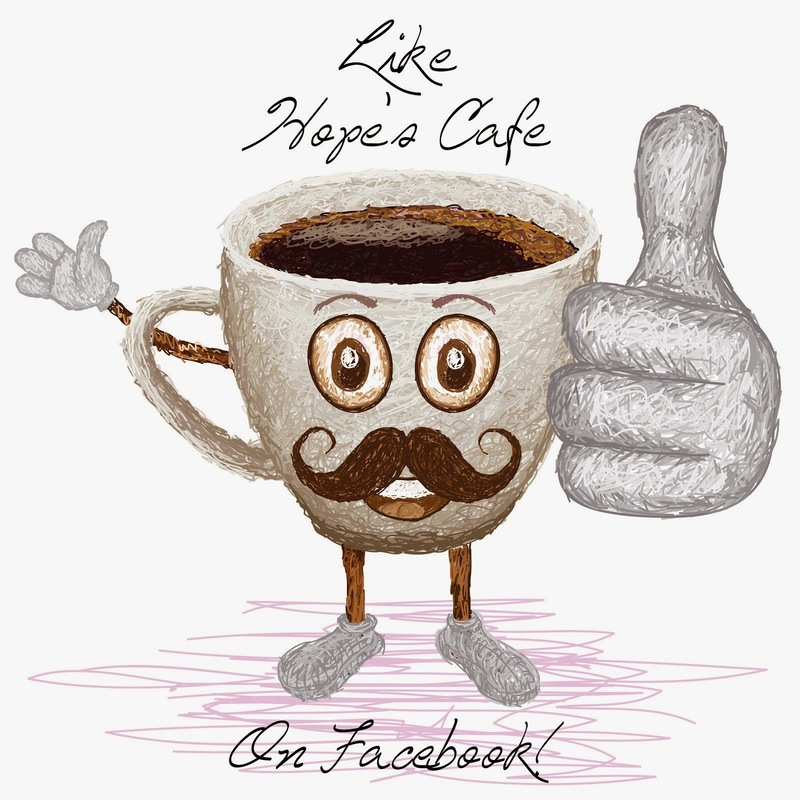 Hope's Cafe: BlenderBottle Review and Giveaway!! 2 Winners! I love working in the kitchen, whether it's baking a treat for the family, cooking dinner, or trying out a new recipe. 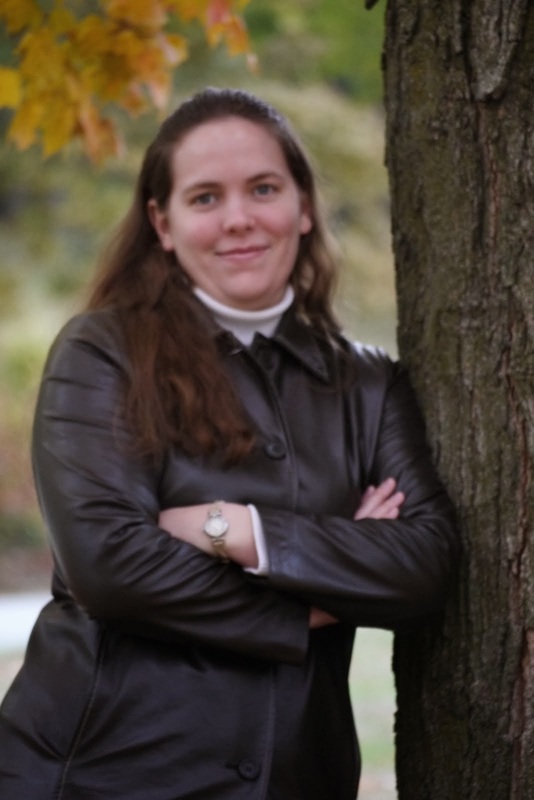 And I recently found a new tool to help me with all of these tasks! I received a package from BlenderBottle that included an original (28 oz.) 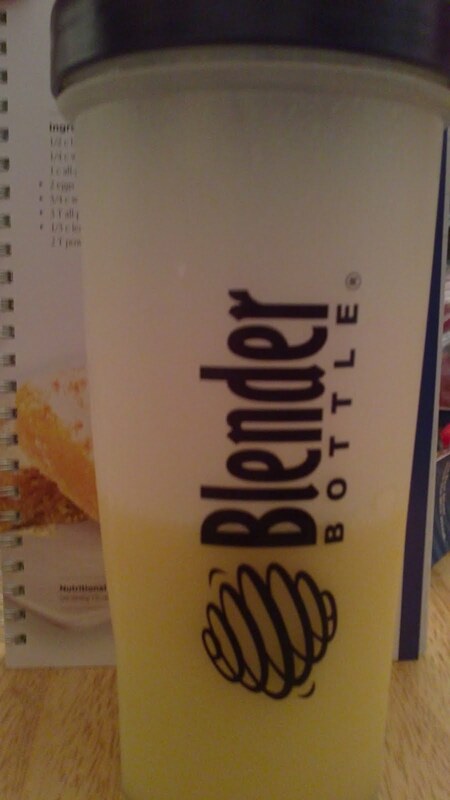 BlenderBottle, an Insulated Sling, and the 101 Quick and Easy BlenderBottle Recipes book. I was excited about trying this out. 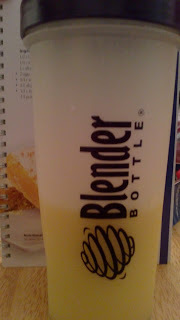 For those of you not familiar with the BlenderBottle, it is a super-handy, portable mixer that really works! The super-simple-yet-ingenious design features a heavy duty plastic bottle, a wire whisk ball, and a lid with pour spout. It is perfect for mixing up anything from sauces to drinks, to a multitude of ingredients for your recipes. I knew I could do a lot with the BlenderBottle, but I didn't realize just how handy it was till after trying a few recipes! While browsing the recipe book, 2 recipes jumped out, so I decided to try both of them. First, the Delicious Lemon Bars. I love lemon pies, so this seemed like a great start. It was sooo simple to make! The 2nd recipe I tried is one that I have a particular weakness for, since it features ice cream. And one of my favorite ice cream treats is orange dreamsicles. So I had to try the Orange Dream Shake. It is out-of-this-world awesomeness! The Insulated Sling is great to be able to take my BlenderBottle with me whether I'm working in the yard, or working out at the gym. I can mix up a drink in the bottle, and bring it along with me in the sling. The sling will hook onto my gym bag, loop around my belt...it is such a handy way to keep my drink cold! 2 of my readers will receive a BlenderBottle pack that includes an Original BlenderBottle, Insulated Sling, and 101 Quick and Easy Recipes book! Visit BlenderBottle and tell me which color of BlenderBottle and Sling you like best! 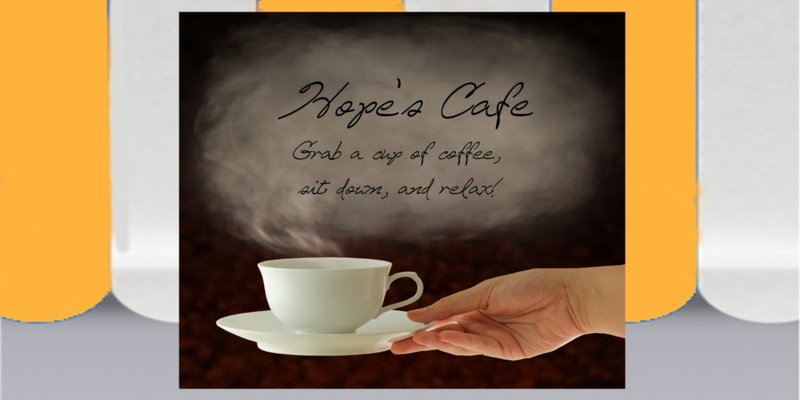 2 entries-"Like" BlenderBottle on Facebook and tell them you entered the giveaway on Hope's Cafe! 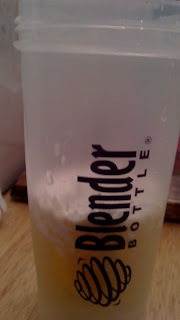 1 entry-Follow BlenderBottle on Twitter! 1 entry-Visit the BlenderBottle channel on Youtube; watch a video and tell me which one! , August 17, 2011, at 11:59 p.m. Please leave a valid email address in each comment, as this is how the winner will be notified. Winner will have 48 hours to respond, or another winner will be chosen. Giveaway open to US residents only. Disclaimer: I was not monetarily compensated in any way for this post. All thoughts and opinions are mine. All quotes taken from the BlenderBottle website. I like the black topped blender bottle with the black/grey sling. I like the Red BlenderBottle and also the Red Sling! I like the Blue bottle with the Grey Sling. Please enter me. Thanks! I like the blue bottle, and the grey/black sling. Entered your healthy feet giveaway. I like the orange BlenderBottle and the Polka Dot sling. I like the black blender bottle with the black sling. I would love to have the polka dot sling with a pink bottle. The green bottle and polka dot sling! #1 GFC follower - ArtsyChaos. #2 GFC follower - ArtsyChaos. I like the lime green bottle and the black sling (the other ones are cute too but too feminine to share with the hubby). I like the stripes with a green lid. I like the green bottle and the stripes 2 sling. I would like the blue top bottle and the black sling. I like the blue blender bottle with the polka dot sling. Entered to win Gourmet Gift Basket. I like the purple top with the black sling.